£100 off Walk in Runs & Free Delivery on Omlet Chicken Fencing! 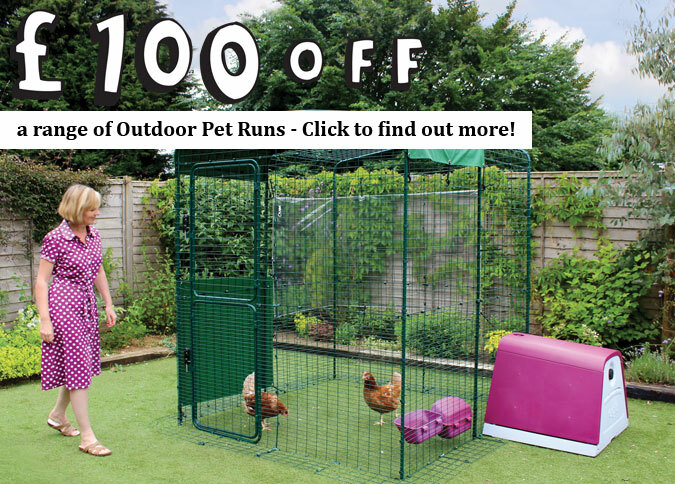 £100 off all Walk in Chicken Runs this Month! There’s still time to peck up a brilliant bargain with £100 off all Walk in Chicken Runs this month. Don’t keep chickens but want to spoil your pet pussycat or bunny instead? Good news! All Outdoor Cat Runs and Outdoor Rabbit Runs have £100 off too. 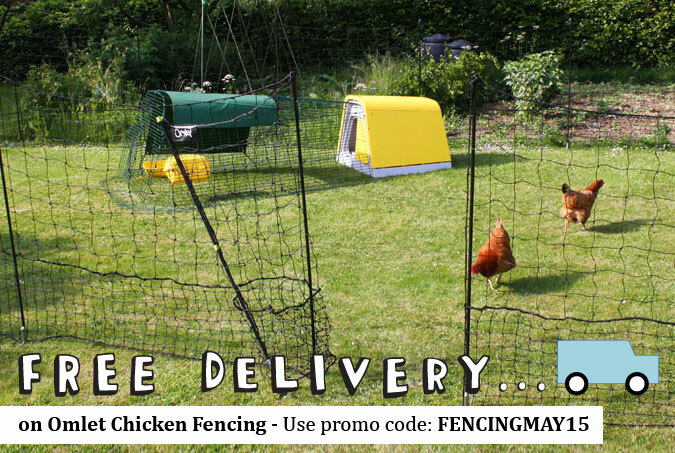 Free Delivery on Omlet Chicken Fencing this Month! Here’s another cracking offer to put a spring in your step. Order your Omlet Chicken Fencing this month and have it delivered for FREE! Available in four lengths, starting from just £79, this Fencing is just the thing to give your hens some eggstra space while keeping your fruit and veg patch safe.